June 5th, 2011 by Conor Murphy in Tips and Tricks. 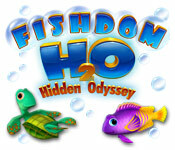 Welcome to the Fishdom H20: Hidden Odyssey Walkthrough! Get some help winning the Best Aquarium Award! Please use this handy document as a reference to get you started, or improve your game experience! 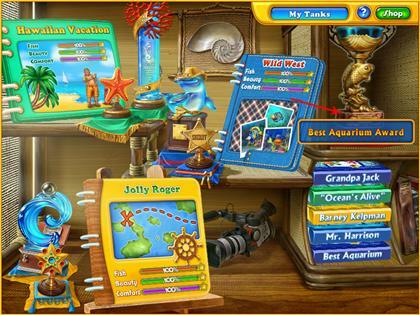 This document is a useful collection of tips, featuring colorful screenshots, from the exciting aquatic world of Fishdom! Remember to visit the Big Fish Games Forums if you find you need more help. 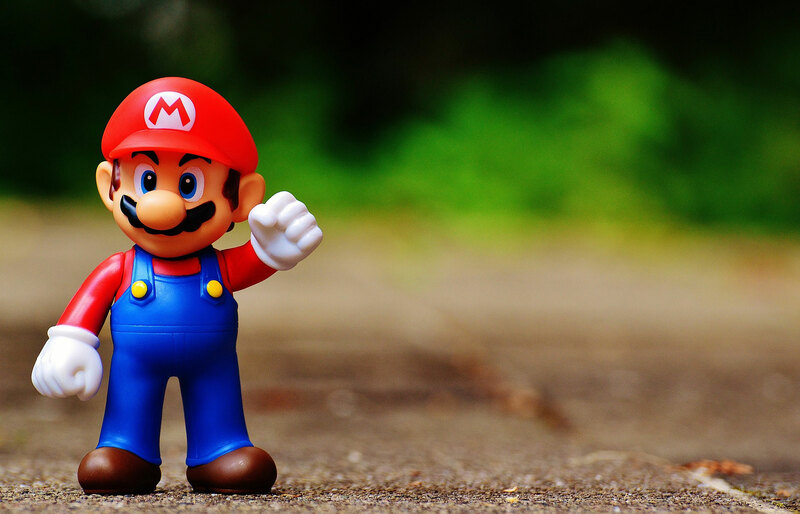 Have fun!We hope you find this information useful as you play your way through the game. 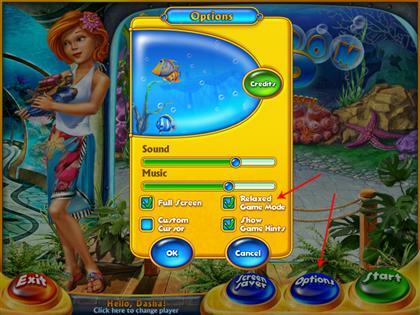 Fishdom H2O: Hidden Odyssey provides players with a unique opportunity to build up a virtual aquarium of their dreams. 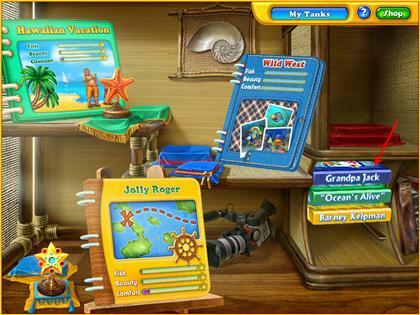 The goal is to find hidden items in numerous eye-teasing locations to earn cash that can be spent on fish, ornaments, and various supplies for their fish tanks. 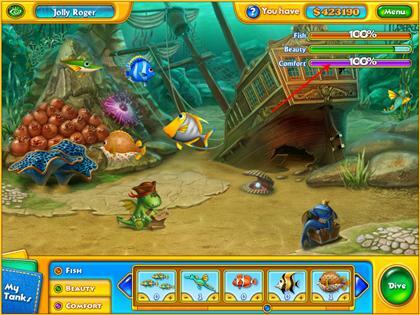 The aquarium environment is fully interactive and customizable which leaves plenty of room for imagination. Click on the Options button in the main menu to switch between ‘”Relaxed’” and ‘”Against the Clock’” game modes any time you wish. Fill up Fish, Beauty and Comfort meters to 100% to earn a trophy and unlock a new tank. If you keep buying the same fish and accessories over and over again, it will take much longer to fill up the relevant meters. A purchased ornament can be sold back. To do that, drag and drop it into the bin. The bin appears in the lower right-hand corner of the screen when you start dragging the item. 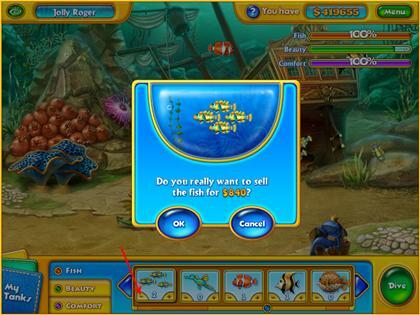 A purchased fish can be sold back. Just click on the ‘”-’” button next to the fish icon in the shop to do so. Keep your eyes peeled for seahorses on the levels. Click on them to collect an extra hint. Videotapes on ‘”My Tanks’” screen contain the cut scenes of the game. You can recap the storyline and watch them any time you wish. 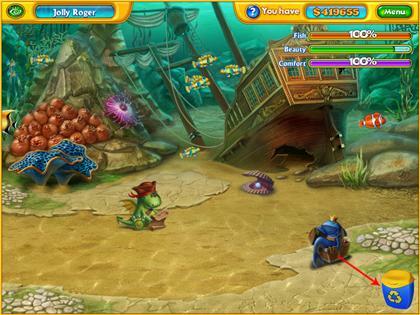 Note that the game doesn’t end even when you win the Best Aquarium Award. You can keep working on your tanks and take care of your finny pals.